There are some things in life that can cause great frustration. One such thing is car trouble. This machine makes our life so easy and we love it for that. However, we are often very much dependent of it. So dependent in fact, that when something goes wrong and we experience car trouble like a car key breaking within the ignition, our day gets turned upside down. It is a bit tricky to get the broken key out but if you are stuck in that situation, you can do it yourself. We will show you how. You will need to grab a few things and the first thing on the list is lubricant. Using the lubricant will help you clean the ignition switch from any dirt that may have found its way in. Do not use oil, use a lubricant spray can such as WD-40. Next, you will need the other half of the broken key that you got out and also wires such as thin iron wire. Last but not least are long-nose pliers. If you do not have ones that are O.K. you can use eyebrow tweezers instead. What if you try and try and it will still not come out? What if you are pressed for time? What if you fear causing greater damage? That is no problem for us! Give us a call and one of our best mechanics will get it out in no time! 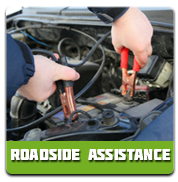 It does not matter whether you need a broken ignition key extracted or you got your car stuck in the middle of the road, we got you covered! 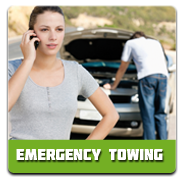 Super Towing provides high quality towing and car locksmith services. We believe in giving back to the community by providing the best customer service possible. That is why we are available 24/7/365. Yes, even on holidays! Got an emergency? 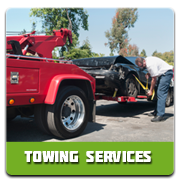 In 30 minutes or less, Super Towing will be there to help you out at a fair price that will guarantee your satisfaction.